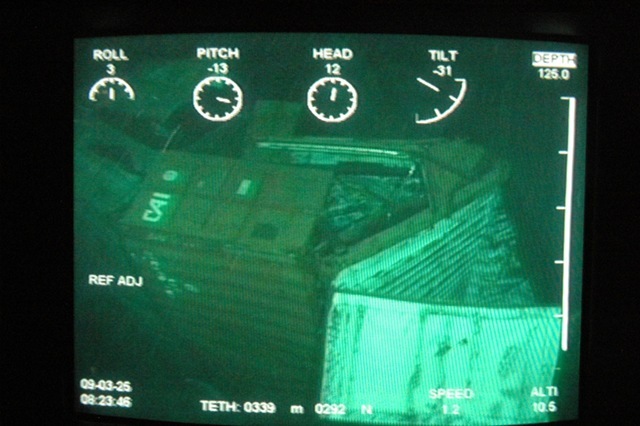 The Royal Australian Navy’s Huon Class Mine Hunters HMAS Yarra (M 87), HMAS Norman (M 84) have located, identified and marked the position of 24 of the 31 containers (images on the right) lost by MV Pacific Adventurer at sea on March 11, during Cyclone Hamish off Cape Moreton. In bad weather conditions, HMAS Yarra and HMAS Norman were searching for these lost containers by using Variable Depth Sonar since March 18 in the vicinity of the datum point provided by the Master of MV Pacific Adventurer. The sonar can detect objects at depths of over 100 metres with detection ranges in excess of 1,000 metres ahead of the ship. HMAS Yarra successfully identified 22 containers at a depth of 120 metres. 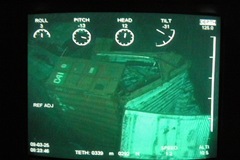 The containers are lying on the seabed in groups of two and three, and are in varying states of condition. 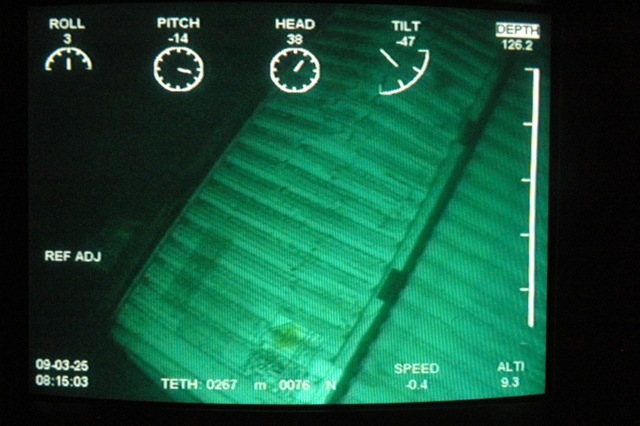 On March 26, HMAS Norman located two more containers on the seabed in very bad shape. Images and video footages of the containers were taken by using Bofors Underwater Systems Double Eagle Mine Disposal Vehicles. Equipped with a searchlight, closed-circuit low light television camera and an on-board close range identification sonar. Commands are relayed via a fibre optic link inside the vehicle’s tether, which also relays sensor images for display on the ship’s multifunction console in the operations room. Both the ships are continuing their search for the remaining missing containers. 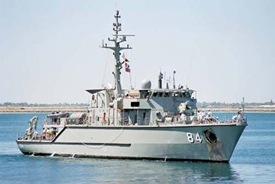 Yarra was commissioned on March 01, 2003 and is the sixth Huon Class Mine Hunters. 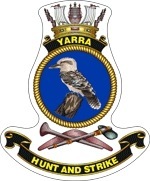 View Fact sheet of HMAS Yarra. 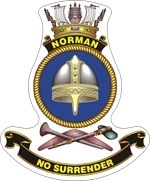 Norman was commissioned on August 26, 2000 and is the third Huon Class Mine Hunters. View Fact sheet of HMAS Norman. 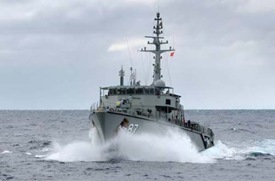 Huon Class Mine Hunters are built by Australian Defence Industries in Newcastle, Australia. read press release by Department of Defence, Australia. 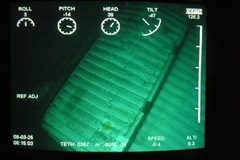 view all images of the containers located on seabed. All the above images are from The Royal Australian Navy.